Imagine a world where your window treatments adjust themselves automatically, creating the perfect room ambiance morning, noon and night. That’s the beauty of PowerView® Motorization — recipient of a Red Dot Design Award, the most coveted and prestigious designation in the world of design. Hunter Douglas window fashions provide lots of options for controlling natural light and privacy at the window. The translucent materials on some Hunter Douglas sheers, shades, and honeycombs softly filter the sun’s rays, filling your room with a warm glow. And our Hunter Douglas shutters and blinds allow you to deflect and redirect sunlight, precisely where you want. Who says you can't have it both ways? Duette® Honeycomb Shades make your house more beautiful and more energy-efficient. Pirouette® Window Shadings provide a bold and modern alternative to the look and feel of traditional fabric shades. Watch the soft fabric vanes open like a blooming flower, to add a whole new dimension to the room. Imagine a Roman shade that never wrinkles, has consistent folds and no exposed rear cords. We’ve taken out all the issues from the standard Roman and made it into a flawless modern shade, the Vignette® Modern Roman Shade. Browse stunning room photography for ideas. Then personalize your favorite Hunter Douglas window treatments, colors and fabrics, and see them in your home by uploading your own room photos. 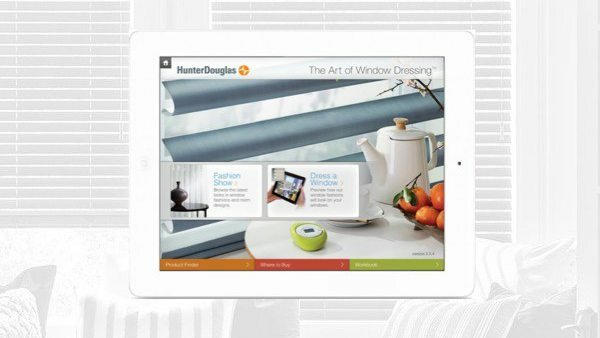 Save your favorite Hunter Douglas window fashion designs and share with friends and family by email or on Facebook.